Light Polymers, a nanochemistry innovator specializing in lyotropic liquid crystals is proud to announce its Crystallin technology for emerging Micro and Mini LED display applications. Based on its award-winning lyotropic liquid crystal technology, Crystallin will accelerate adoption of Micro and Mini LEDs in laptops, automotive, desktop monitors and industrial display applications. Using patented, water-based lyotropic liquid crystals, Light Polymers is now producing a Crystallin phosphor down-conversion film for use with blue Micro and Mini LED’s. 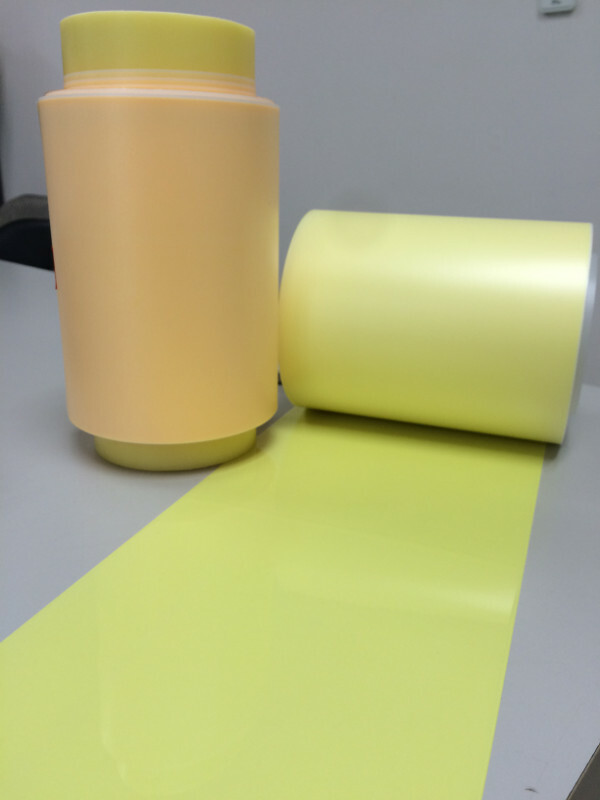 The Crystallin Performance PDC 100 phosphor down-conversion film is laminated to a substrate of blue Micro or Mini LEDs and provides a color gamut that can reach 85% of DCI-P3. 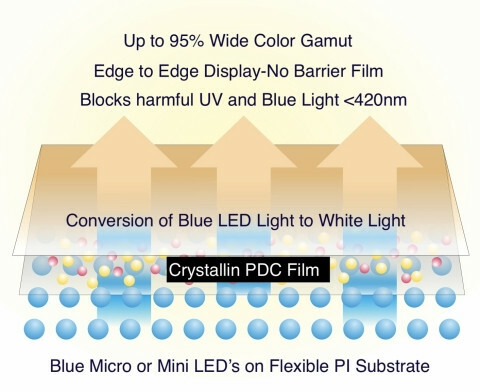 Crystallin Premium PDC 500 can also be laminated to a substrate of blue Micro and Mini LEDs, providing a color gamut as high as 95% of DCI-P3, similar to the performance of a non-cadmium quantum dot film without the thickness and cost issues using highly reliable industry standard phosphors. Both the PDC 100 and PDC 500 films have a built-in diffuser capability, eliminating the need for additional diffusers.